Digital Extremes announced today that the latest update for its free-to-play shooter Warfame has made its way to consoles. 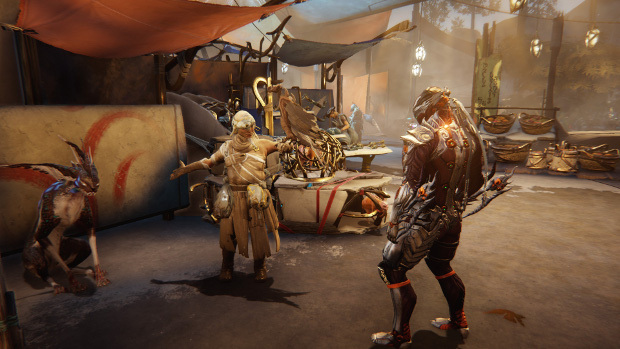 Titled Plains of Eidolon, the update introduces the first truly open environment to the game allowing as many as 50 players to clash with each other. Players on both Xbox One and PlayStaion 4 can hop into Plains of Eidelon today. In additional Warframe news, the game’s developer has been declared one of Canada’s top 100 employers of 2018 by Eluta. The company earned high marks in a variety of categories, such as work environment, training, level of communication, and more. They even offer employees a generous maternity leave, lots of activities, and even a kitchen with full-time staff where employees can get daily meals. So basically, they’re just kind of awesome.